Yes, We have a USDA permit to ship Monarch Butterflies for release to Delaware Delaware has an average temperatures above 62°F with the minimal chance of a Freeze from Mid April through the End of October. You may safely consider having a Delaware butterfly release anytime the outside temperature is above 62°F and there is no possibility of a hard freeze in the forecast. 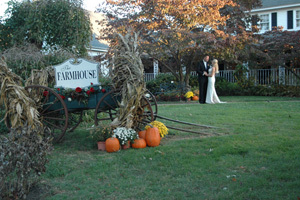 The Farmhouse is a beautifully decorated historic facility with Victorian charm. 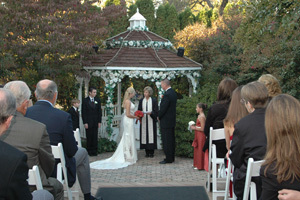 A unique private setting for wedding receptions and other social functions. This private country estate is situated on four acres of manicured grounds. It is elegant with cathedral ceilings, a beautiful dance floor, french doors opening to our wrap-around cedar deck. 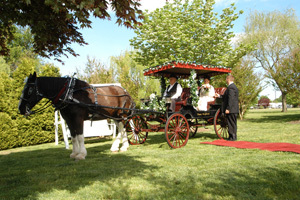 Imagine arriving in a horse-drawn carriage...meeting your true love in a Victorian gazebo...having an outdoor ceremony and enjoying a menu that is truly superb.